Watch: Can Bethel Afford The Costs Of Climate Change? Warmer winters and late freeze-ups are causing expensive problems in the Yukon-Kuskokwim Delta. Alaska's temperatures are warming twice as fast as the global average, and rural Alaska is taking the brunt of the impacts. The costs from dealing with climate change are starting to become more visible in Bethel, a hub town for the Yukon-Kuskokwim Delta. There are also costs to the region’s lifestyle. Yup’ik Elder Eula David is sewing qaspeqs for her grandchildren. She does this every year, sitting at a vintage Singer sewing machine at her window. David moved to Bethel in 1979 from Nunivak Island, but she was born in Scammon Bay. She has seen a lot of changes in her lifetime, and some of the biggest are tied to climate change. "And great big change right now on the weather we don’t have, especially right now in December. We would have some 20-some below zero right back then; right now the weather didn’t even reach below zero yet, or zero. It feel like it cold, but it’s always mild," David said. Climate scientists in Alaska have documented what Eula David has seen in her life. For the past five years in particular, Bethel has had warmer winters. 2016 was the warmest year on record for the Yukon-Kuskokwim Delta and 2018 was the second warmest. The latest National Climate Assessment says that rural Alaska and Indigenous communities will face the brunt of climate change impacts. That applies to Bethel, the hub of the Y-K Delta, a region that’s home to the greatest number of tribes in Alaska. Peter Williams, Bethel City Manager, was not surprised when he saw the assessment. "When I read the report, I thought it was kind of ironic. Look out the window and thought it was happening here too," Williams said. Climate change is bringing new challenges to maintain Bethel’s infrastructure on a lean budget. It currently costs Bethel more than $1 million a year to maintain its gravel roads. That number could rise in the coming years when the longer thaws in winter erode the foundation of the roads faster, making it harder to repair them. And then there are the willow trees. "I know we don't regularly cut our willows back from the roads, but it just seems to me like the willows have certainly started to go crazy last three or four years, and I think it is because a longer growing season," Williams said. Other transportation challenges include the ice road that develops on the frozen Kuskokwim River. The river is taking longer to freeze. Mark Leary is a volunteer for Bethel Search and Rescue, and the group measures the ice every winter to make sure that it is safe enough for travel. People are relying more and more on air travel with the ice road taking longer to freeze. "People stuck for days. Freight and mail is especially backed up. So people are, they have to, pushing the envelope of safety so that they can start traveling by their own means," Leary said. At the end of 2017, a family traveling by snowmachine drove into a marked open hole on the river on New Year’s Eve. Five people pulled themselves from the water and survived, but the driver did not. Leary fears that these types of accidents will happen more frequently as winters warm. Williams and Leary say that they haven’t changed how they operate so far, but climate change is always at the back of their minds now. For Elder Eula David, she knows that her descendants will face a different world. "Maybe some of the animals that used to come around, like our food that used to come around in winter time, caribous and things, maybe it will be too warm [for] them. I don’t know, but it won’t be the same," David said. But she also says that part of the Y-K Delta’s way of life is adaptation and resilience. The region's communities have come together for a series of meetings about climate change adaptation for the past couple of years, and the steering committee for the Adapt Y-K Delta initative just released a draft of their plan in November. It is unclear when the committee will release its final plan, but when it does come out it will provide a blueprint for how the region plans to tackle climate change. Additional reporting by Katie Basile and Joey Mendolia. 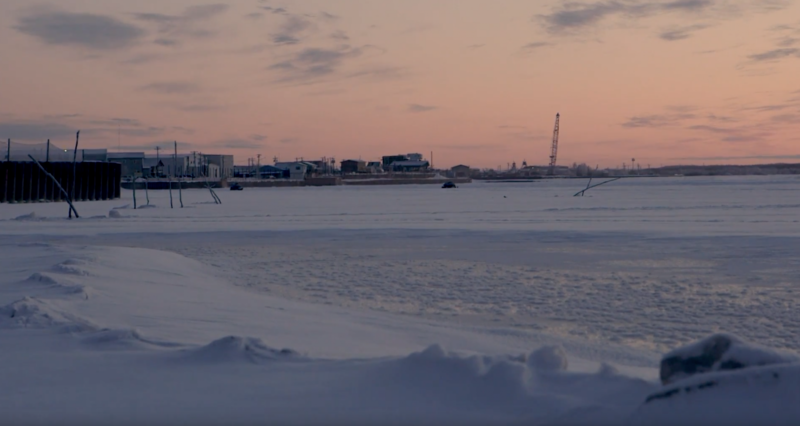 For more on how climate change is impacting transportation, communication, and culture in the Yukon-Kuskokwim Delta, watch these in-depth profile videos of Bethel community members.